The season kicked off with weekly installments of our now traditional Alley Spooktacular segment in our weekly staff meeting video. 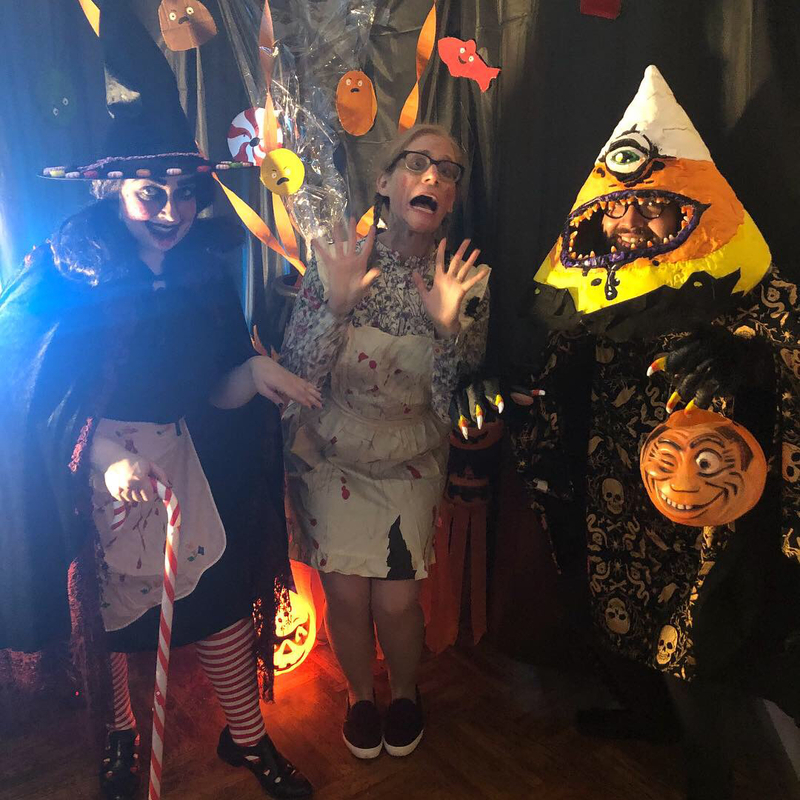 Two of our team members with an extreme love of all things horror and Halloween, Software Developer Grant Mangham and Agile Process Leader Jaimie Olmstead, shared their favorite and/or lesser-known scary movie suggestions with the company. It was both exciting and terrifying to watch their recaps of such movies as Salem’s Lot, Pontypool, and Only Lovers Left Alive. On Halloween itself, lots of people got into the spirit – both in real life and in our Slack. Several team members dressed up throughout the day, showing off their creative flair. Software Developer Dan Bowles was a human lego block, while our People and Operations Coordinator, Kelsey Locotos, dressed up as a cat for all her video calls that day. A few Slack avatars also changed for Halloween as our team members “dressed” up in other ways – for example, our Director of Software Development, Kevin Fodness, disguised himself as Voldemort for the day. 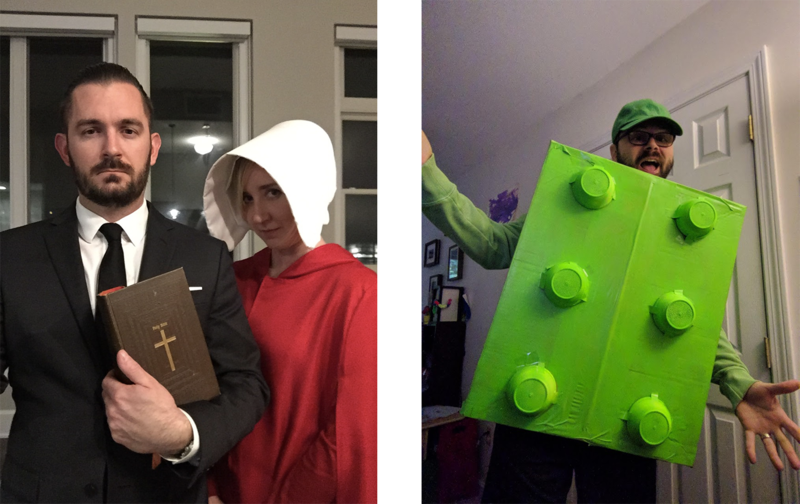 Our Halloween community Slack channel was celebrating in full swing with the team sharing pictures of their costumes, trips to haunted houses, and decorations. 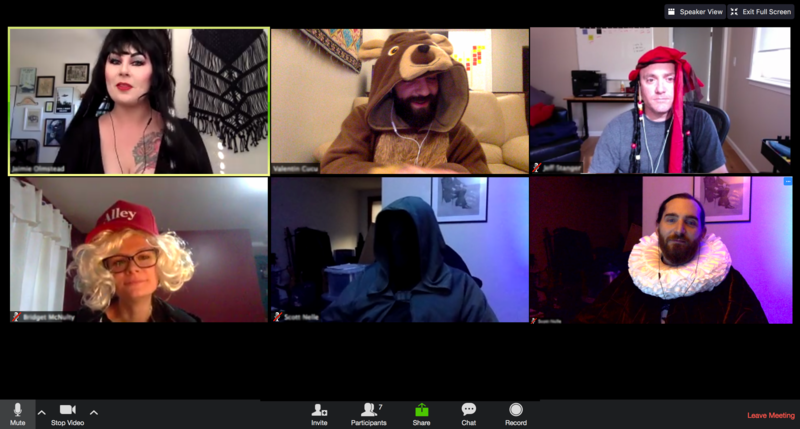 Finally, we rounded out Halloween week with a happy hour "sponsored" by our Halloween community Slack channel. Each week we have an open Zoom where team members can join and unwind from the week. This week, we had the added optional bonus of dressing up while hanging out with our teammates. But at Alley, the Halloween vibes don’t just exist in October. Our Halloween community Slack channel has now become a “creeps” channel for all things weird and creepy, all year round. Remote or distributed companies can have just as much fun as colocated ones – we just need to be intentional about it, and ensure there is something for everyone to enjoy, wherever they are.